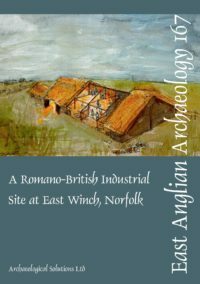 In 2000, an Anglo-Saxon cemetery was found at Sutton Hoo, 500m north of the famous East Anglian ‘burial-ground of kings’ (Carver 1998; 2005). The discovery was made during an excavation commissioned by the National Trust, ahead of development of the visitor centre. Research presented here shows the new burial-ground was not another of elite status, but began earlier as a ‘folk’ cemetery where both cremation and inhumation were practiced. Nevertheless, the findings suggest a wealthy local population in the period just before the founding of the mound cemetery at Sutton Hoo. Evidence for prehistoric occupation was also recorded. Most significant were the remains of a small Bronze Age barrow, and a later field-system relatable to the known Iron Age enclosure recorded during the most recent excavations at the mound cemetery (Hummler 2005, 391–458). It is argued that the barrow and enclosure earthworks survived to at least the time of the Anglo-Saxon cemetery, and that they influenced its location and layout. Just over thirty early Anglo-Saxon graves were recorded, with few juveniles and infants, and unequal proportions of males and females. It is probable this represents only a small sample from a larger cemetery, with finds to the north-west of the site suggesting the continuation of burials. Grave-goods from the inhumation burials and a programme of radiocarbon dates for the cremation burials indicate that the majority date to the second half of the 6th century. For the inhumation rite, thirteen weapon-burials were recorded (probably all male graves), including two or three with swords, and one with an animal-art decorated shield. By comparison, just four inhumation burials contained individuals in female costume. Skeletal survival in these graves was very poor. The calcined bone from the cremations was better preserved and analysis of it has contrastingly suggested, potentially, a female majority. Certain aspects of the cremation rite show parallels with Sutton Hoo: conspicuous animal offerings; one case of a cremation in a bronze bowl; and the employment of burial monuments (albeit on a smaller scale). 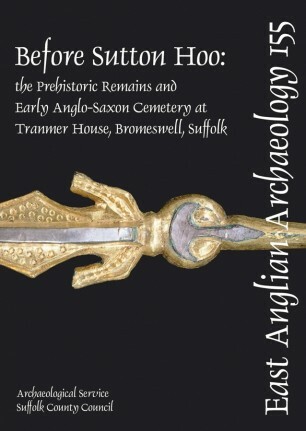 This relationship is strengthened, moreover, by the scientific dating that shows these customs ended at Tranmer House at the close of the 6th century, just as the earliest cremations began at Sutton Hoo mound cemetery. Ultimately, this raises the possibility of a real connection between the buried populations of the two cemeteries. Thus, the findings present a key new episode for our understanding of the origins of Sutton Hoo, its dynasty and the kingdom of East Anglia.